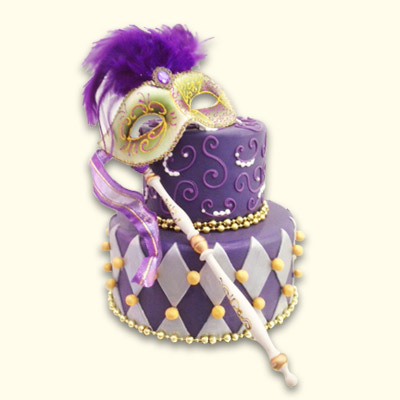 This Masquerade Cake is a beautifully detailed with purple and gold fondant along with hand scroll designs and beads. Complete the look with a dazzling and beautiful mask on matching stick. We can match your theme and color scheme. 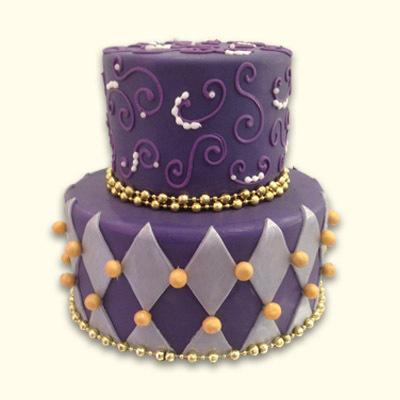 Select your cake flavor, filling, and frosting, this cake serves 25-35 guests. 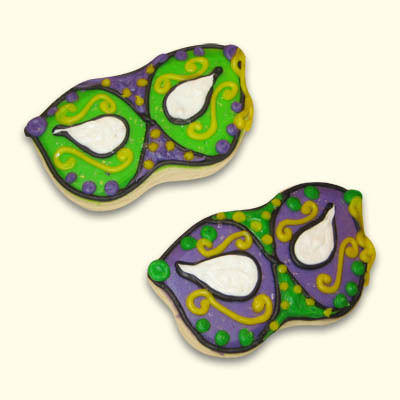 Order matching masquerade cookies or cupcakes as favors for an extra special treat.